We’re guessing the excitement for Jurassic World has gotten you nostalgic for the original Jurassic Park, right? Why not also indulge your nostalgia for old-school video games at the same time? Jurassic Park was on the cutting edge of CGI back in 1993… we give the dinosaurs a treatment that’s a little less ahead of its time. 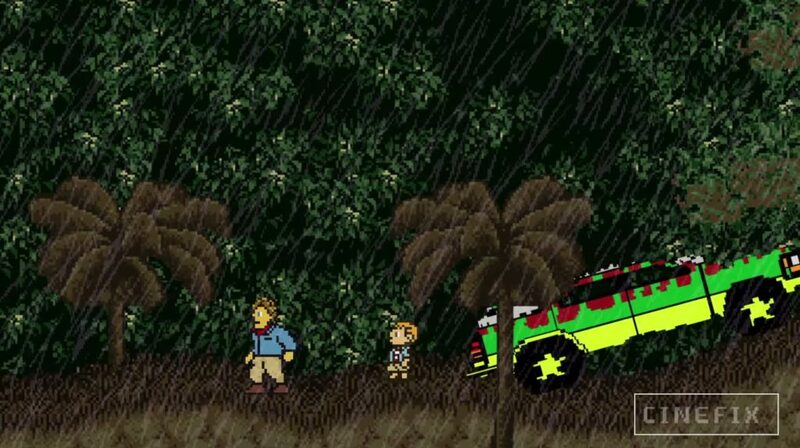 Thus, we present Jurassic Park in the form of an 8 bit video game!